Quotes are meant to be tools of inspiration and reflection. There are hundreds of thousands of quotes about any subject one can possibly imagine as they are used by people on a daily basis in their lives. Being in love with my job (translation, what else? ), there are a few particular translation quotes that really inspire me or get me thinking. The below are 10 of the most famous of these quotes which I think each translator should be familiar with. 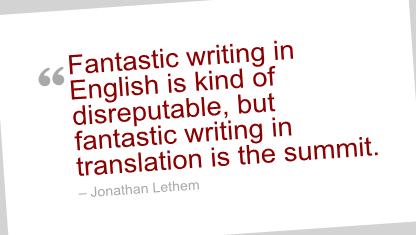 If you have any other translation quotes that you find quite inspiring, please share them in the comments below! These quotes made me learn a lot about translation. I have a book of french aphorisms about translation, “Bréviaire d’un traducteur” by Carlos Batista. Something may have been lost in translation, but it certainly wasn’t love. The wonderful effects of love. Of loving not only that which is born of the other, but that which demands to be born. And of doing it again. Not only does a translator help to give birth; he/she helps something demand to be born in the so-called target language. A good translator loves and respects not only what has been thought [le pensé] but also a “way of thinking,” as the saying goes. I love the quote that says that translation, at best is an echo. It demonstrates that translation is not only science, but also an art form.